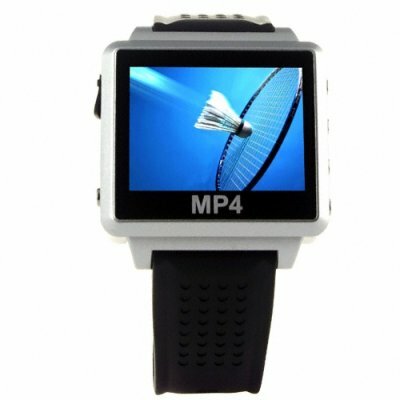 Successfully Added Super Color Watch MP4 Player -8GB to your Shopping Cart. Great innovation in MP4 watch technology, a high quality and large screen MP4 watch made of durable everyday use materials. The outer casing is made up of shock resistant polyurethane materials and the strap is a flexible but strong rubber blend. The watch uses an intuitive 5 button configuration for menu navigation. When in standby mode the face displays an attractive digital and analog clock as well as the date. An excellent wholesale item suitable for on sale for great profits, with the added bonus of our no M.O.Q. (no minimum order quantity) policy and 12 month warranty straight from Chinavasion. Just arrived as discribed excellent clock.